The continuing saga of the Indian Air Force’s Medium Multi-Role Combat Aircraft (MMRCA) has again arrived at an impasse, providing opportunities again for Russia. The serial drama of the MMRCA tender; for purchase and licensed production of 126 medium multi-role combat aircraft; reached an intermediate junction. During a visit in April 2015 to France by Indian Prime Minister Narendra Modi, an announcement was made about the signing of an ‘agreement in principle’ on direct purchase of 36 fighter jets by the Rafale Company which, in 2013, was declared the formal winner of the MMRCA Tender. Since then, for over two years, India and France continued commercial negotiations to finalize the contract, but could not arrive at a mutually acceptable compromise to implement the deal. The scale of the purchase announced in April was significantly smaller than initially expected, and, with this deal, production of aircraft in India is no longer part of the agreement. There was uncertainty for a while about the future plans of the Indian government and its national Air Force about the licensed production of Rafale fighter jets. It was not known whether this purchase of 36 aircraft was a separate deal, implemented over and above the MMRCA Program, or the purchase constituted just the first tranche of the planned purchase of 126 fighter jets. If the latter was true, then how many planes would be built under license in India? Some weeks later, India’s Defence Minister Manohar Parrikar made a sensational announcement; India was going to purchase 36 aircraft from Rafale, and nothing more. The funds thus saved, which should have gone towards the purchase of licensed production of Rafale aircraft, would now be directed to the purchase of 200 Tejas light fighter jets that are produced in India. Notwithstanding this announcement, in early August, reports started circulating in the Indian press that the government was going to announce a new tender for the licensed production in India of 90 MMRC fighter jets, but the accuracy of this information is in question. If the announcement, made by the Indian minister, reflects the real intentions of the Indian leadership, and is not just an element in the bargaining game with the French, it signifies the actual cancellation of this ambitious project: “the mother of all tenders”. In essence, this means the Indians have gone back to a different, higher quality and lower quantitative level, at which they initially began; the direct purchase from the French of fourth-generation multi-role fighter jets. The actual cancellation of the MMRCA Tender, theoretically improves Russia’s chances in two ways. First, there is the opportunity to sell one more tranche of Su-30MKI fighter jets to India. The decision on the direct purchase of Rafale fighter jets answers the interests of the military, but it does not solve the issue of new orders for the Hindustan Aeronautics Limited (HAL) Corporation. By early 2015, this company had already manufactured 150 licensed units, and the Indian aircraft manufacturers still had orders for several dozen Su-30MKI. At the present rate of production, in a couple of years, HAL will have completed this order, and then there will be no more work for the company. It is logical to assume that, in anticipation of the start of licensed production of the Rafale, if a contract should still be signed or, which is more likely, before the production of the fifth-generation fighter FGFA can start, HAL would have to be given work for another two or three years. Which means India will need to purchase rights to the licensed production of slightly more than 40 Su-30MKI. From a military standpoint, this will create two more squadrons, and cover the normal attrition of these aircraft through accidents and disasters. It would be advisable to build the new technologically modernized version of the Su-30, referred to as the Sukhoi Super. Second, and most important, a direct and immediate threat to the joint Russian-Indian fifth-generation fighter aircraft (FGFA) project has been removed. 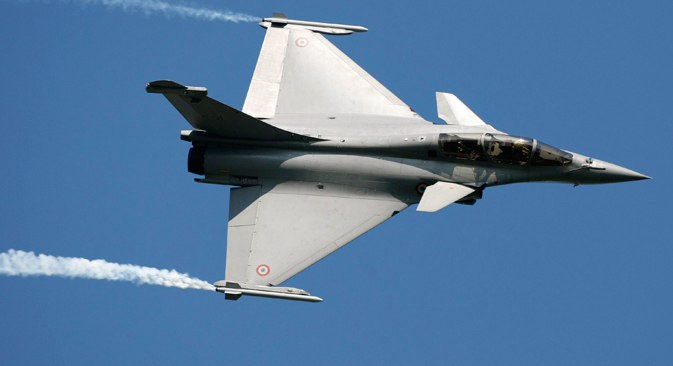 The danger in the MMRCA Program lay in the fact that the purchase and licensed production of the obsolescent and extremely expensive French aircraft would have deprived India of resources needed for funding the fifth-generation fighter jets. The Rafale was like a vampire – being able to kill the FGFA, and thus rob India of possible access to fifth-generation fighter jet technologies. Over the past two to three years, the real competition in the Indian military aviation market was between the Rafale and FGFA. Among other things, it has become clearly understood that the campaign in the Indian press against FGFA was initiated and financed by the French. Now the Indians have found a compromise (which satisfies neither the French nor the Russians, and this is the best indicator that this solution is best for India), which leaves India with the opportunity to develop in both directions; to purchase the Rafale, while not killing the FGFA.